We collect information from you when you place an order, subscribe to a newsletter, respond to a survey, provide us with feedback on our products or services, fill out a form, enter information on our Site and regarding other activities, services, features or resources we make available on our Site. To improve our Site to better serve you. Our Site is scanned on a regular basis for security holes and known vulnerabilities to make your visit to our Site as safe as possible. We use regular malware scanning. If you turn cookies off, some of the features that make your site experience more efficient may not function properly. On the whole, however, it won’t affect the user’s experience. We sell, trade or otherwise transfer to outside parties your name, any form or online contact identifier email, name of chat account, phone number, etc. We engage in this practice to connect planners with suppliers to mutually benefit both parties. We may share generic aggregated demographic information not linked to any personal identification information regarding visitors and users with our business partners, trusted affiliates and advertisers for the purposes outlined above. We may use third party service providers to help us operate our business and the Site or administer activities on our behalf, such as sending out newsletters or surveys. We may share your information with these third parties for those limited purposes if you have given us your permission. You can change your personal information by contacting us. To be in line with Fair Information Practices, we will take the following responsive action, should a data breach occur: We will notify you via email within 7 business days. If at any time you would like to unsubscribe from receiving future emails, follow the instructions at the bottom of each email and we will promptly remove you from correspondence. If you are a California resident, California Civil Code Section 178.83 permits you to request information regarding the disclosure of your personal information by Bright Business Media, LLC, to its affiliates and/or third parties for their direct marketing purposes. 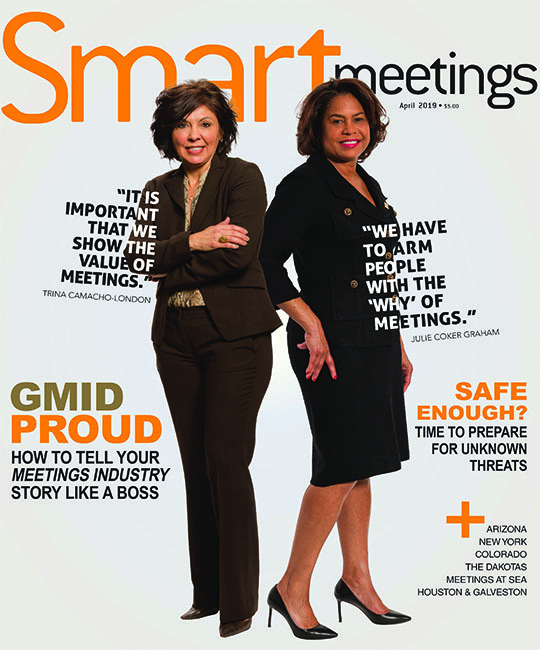 To make such a request, please send an email to web@smartmeetings.com. Please include “California Privacy Rights” in the Subject line of your email. Last updated on August 21, 2018.